Our pretty handmade pansies can be sent with a message - Happy Easter or any other message that will fit the box! A lovely way to send an Easter greeting that's both unique and delicious. 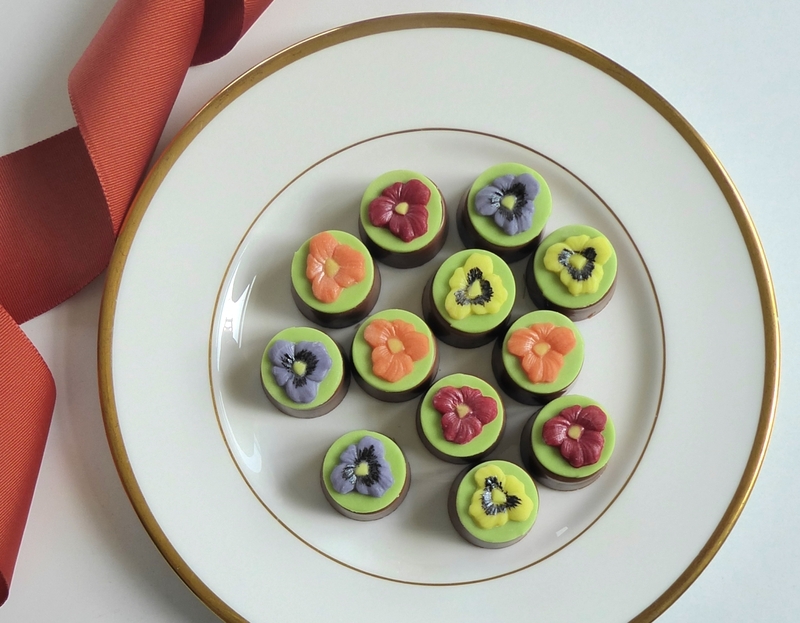 Choose from fruit flavoured fondant, caramel selection, peppermint fondant or rose fondant (with chocolate decorations) or almond marzipan (with marzipan decorations) and either milk or dark chocolate.